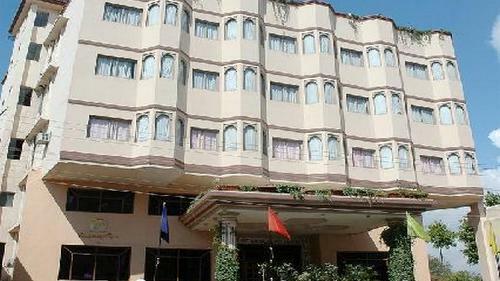 Well-furnished and clean, Hotel Vishnupriya offers comfortable lodging to leisure as well as business travellers. Situated in the centre of the city, it is a stone's throw away from places of sightseeing, as well as, from new Udaipur. The airport is 18 - 20 km and the railway station/bus stand is only 2 km away. The famous City Palace as well as Lake Pichola are just half a kilometre away. For a landmark, ask for the Gulabbagh Zoo. Please note, however, that 10 washrooms do not have bathtubs. Hot water timings are 5 am to 10:30 am and 5 am to 8 pm. The restaurant is spacious and looks over to the garden. Multi cuisine fare is served here and there is an option of ordering Rajasthani delicacies as well. The food is simply delicious, whatever cuisine you order. A conference hall in the basement can accommodate 250 - 300 people. The hotel does not provide equipment but do arrange buffets. There is another banquet hall on the first floor with a collapsible partition, the total capacity of the hall being 100 people. The rooftop restaurant too can accommodate 150 people. The rooftop restaurant is very beautiful with creepers and canopies and a brilliant view of the city and the City Palace. Please fill the query form to get the tariff/packages rates & Reservation.